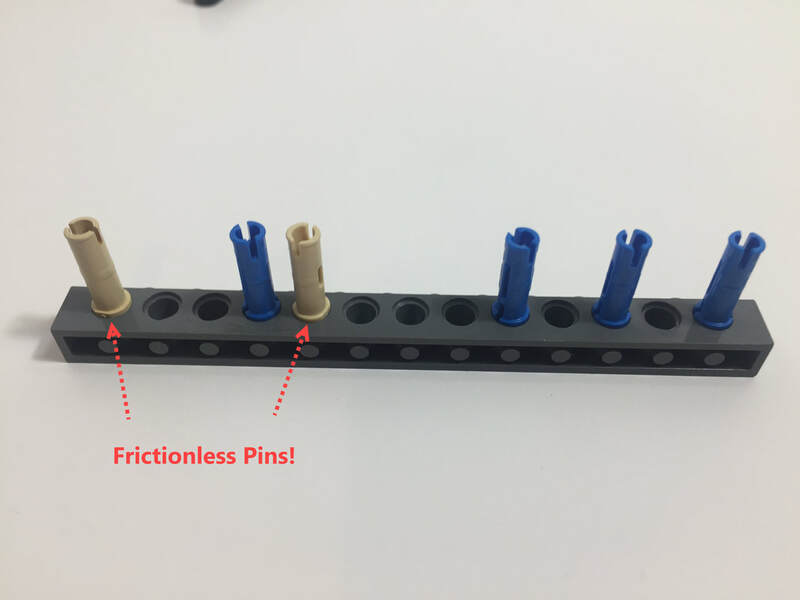 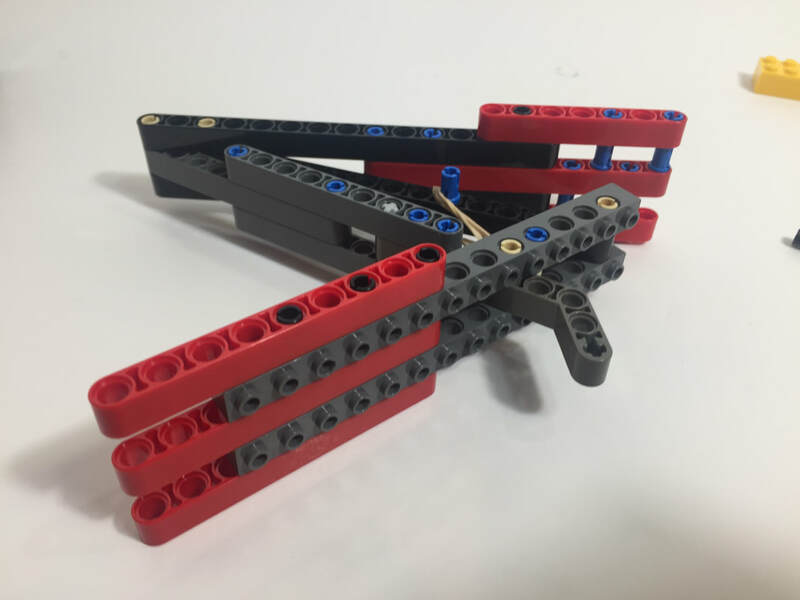 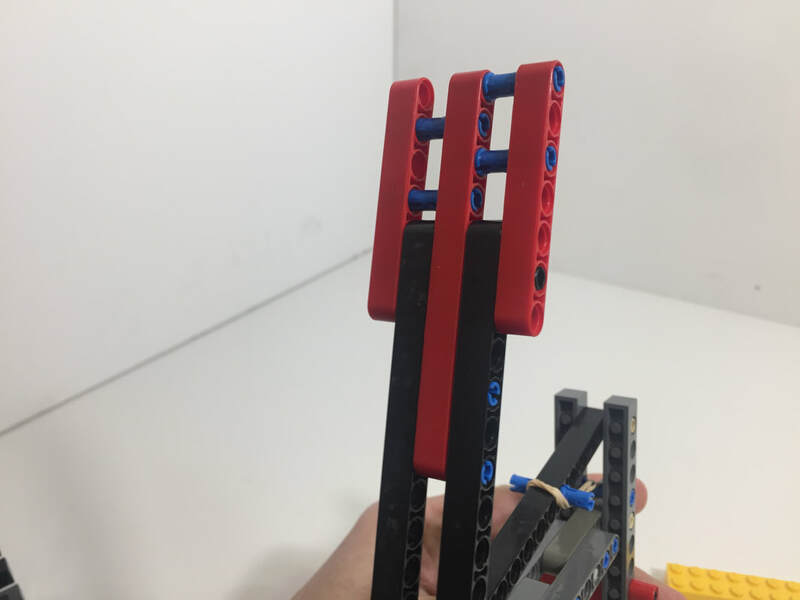 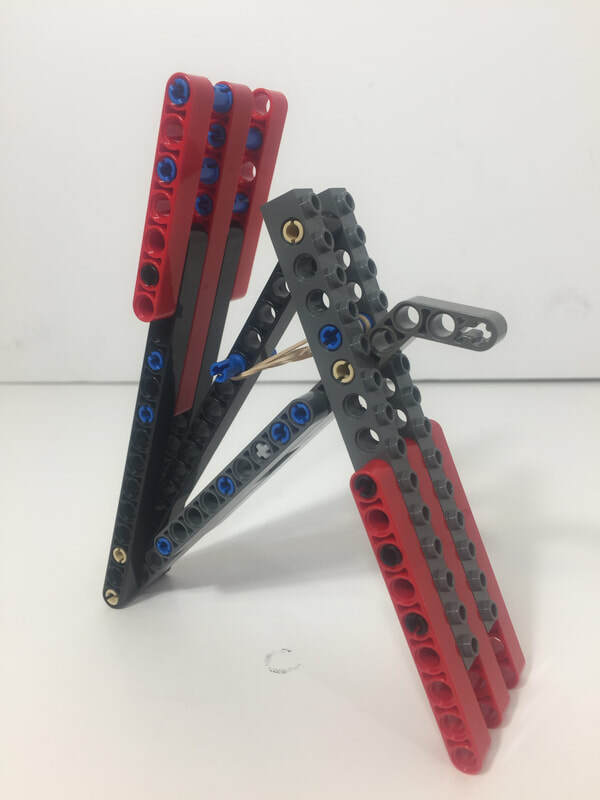 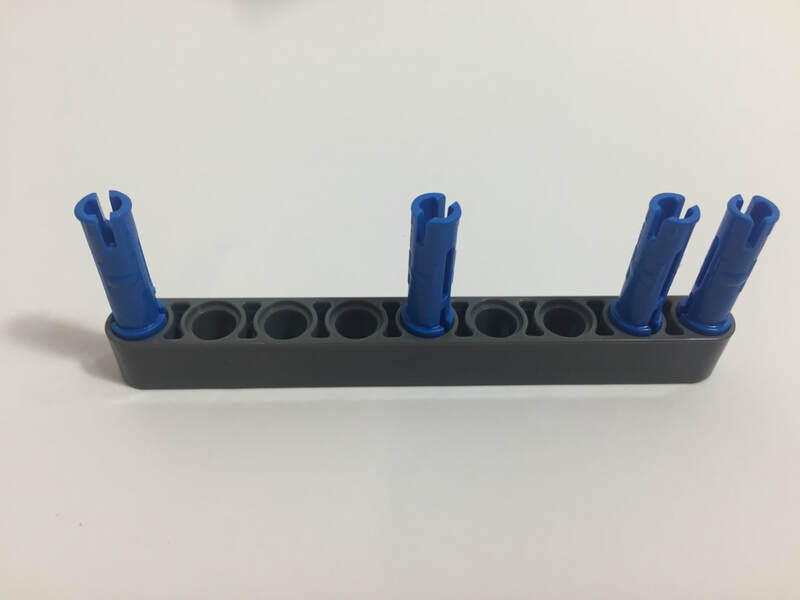 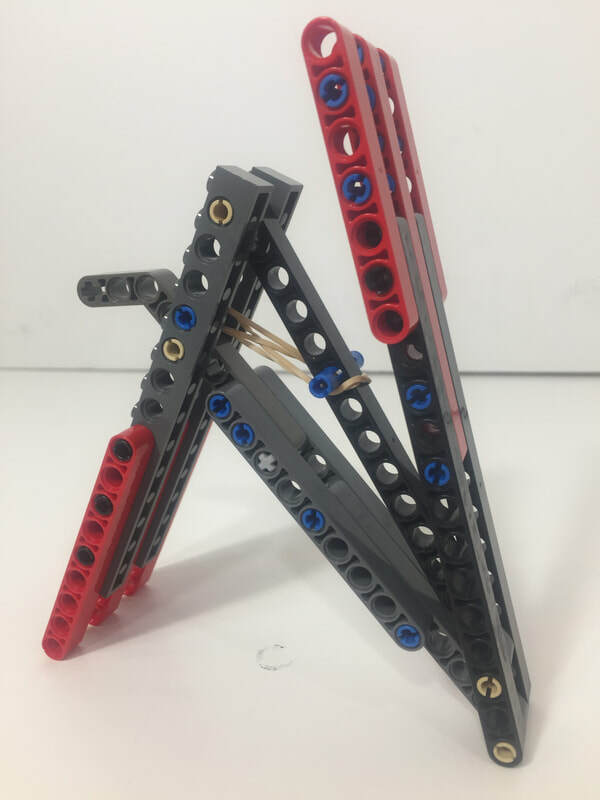 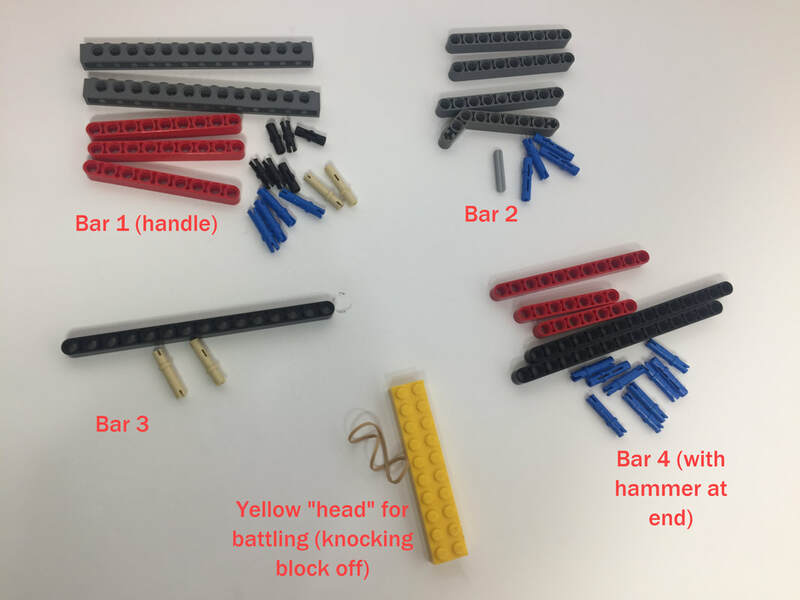 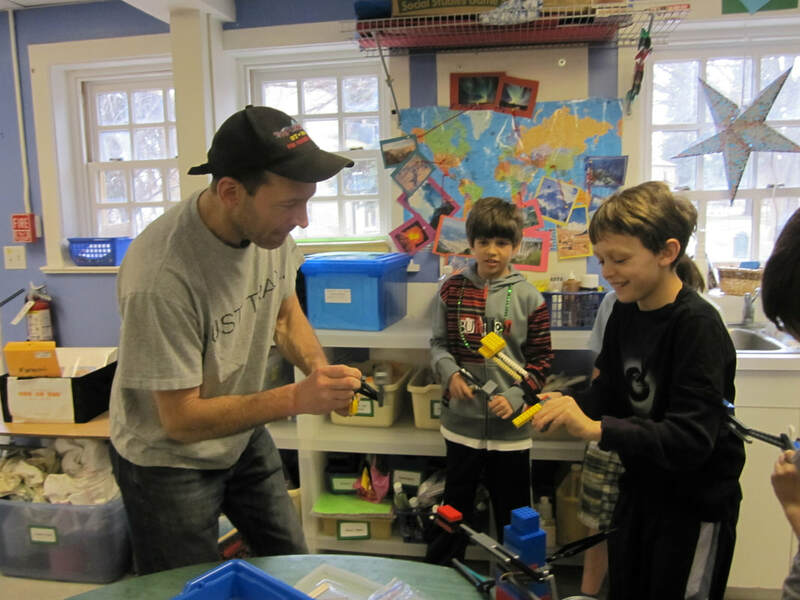 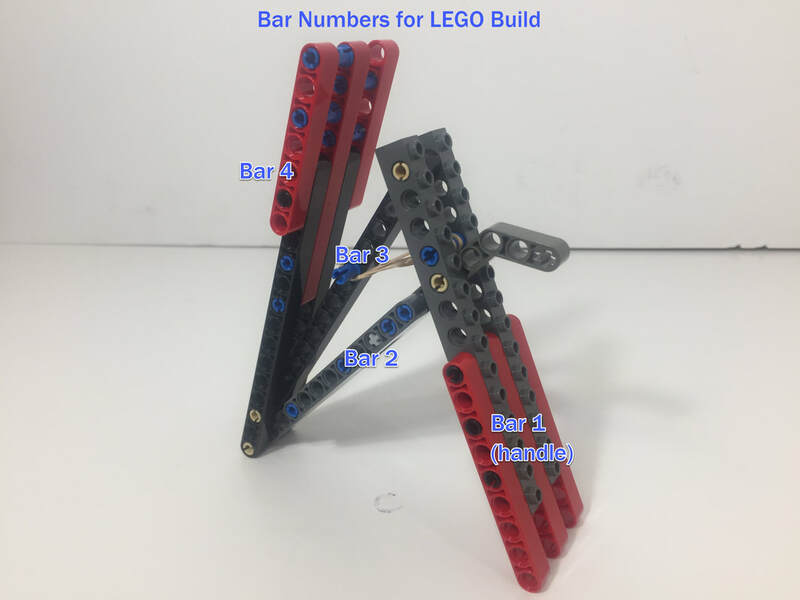 These punchers use a basic 4-bar linkage that students can easily modify to improve performance, which is easiest to do before adding the 2nd side of both the handle and the 4th bar. 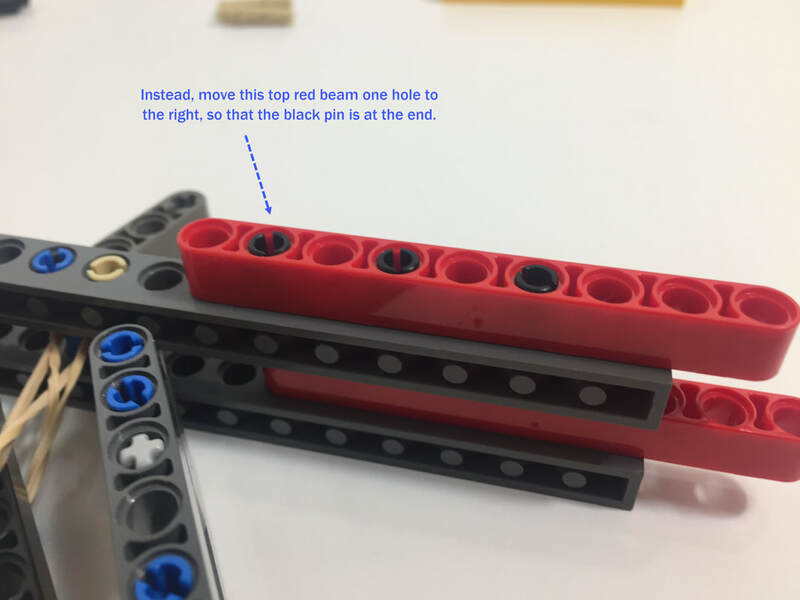 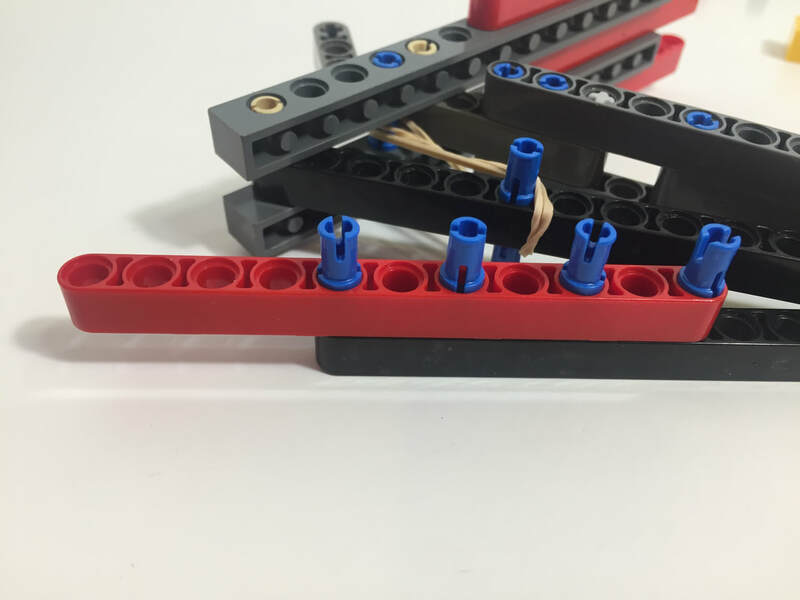 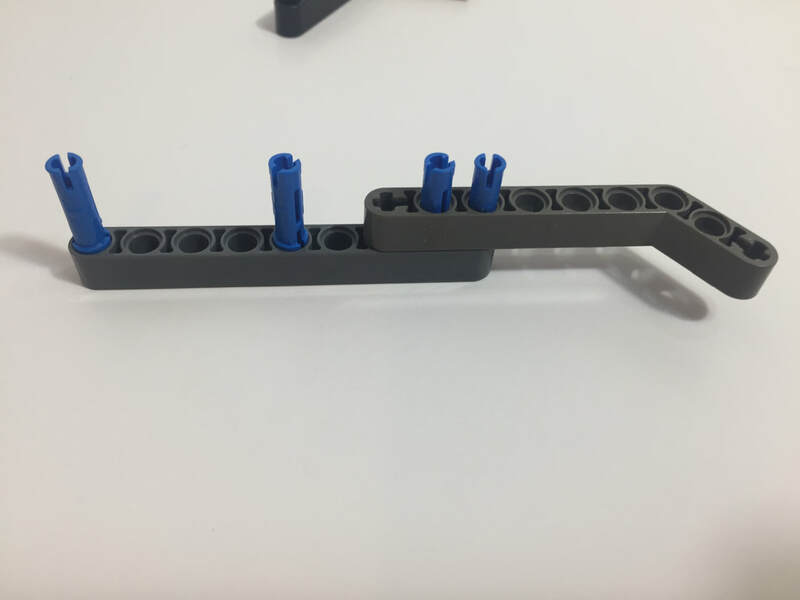 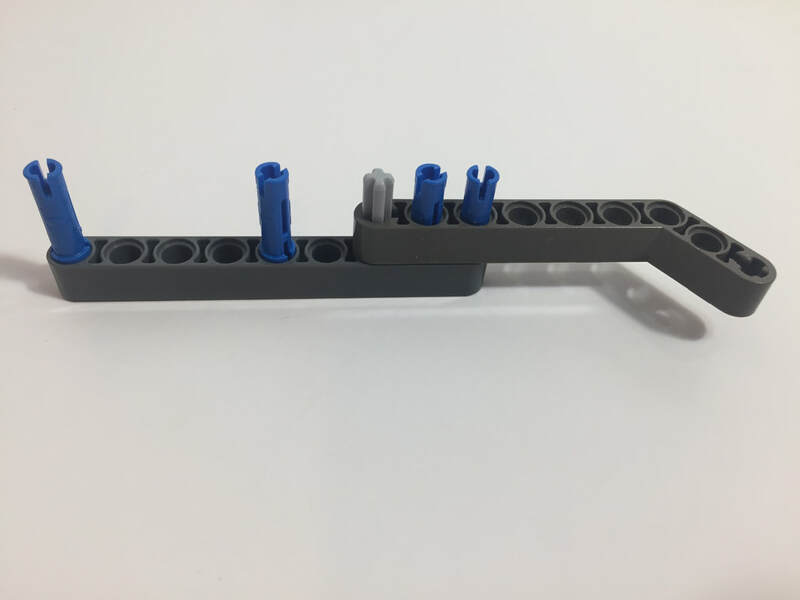 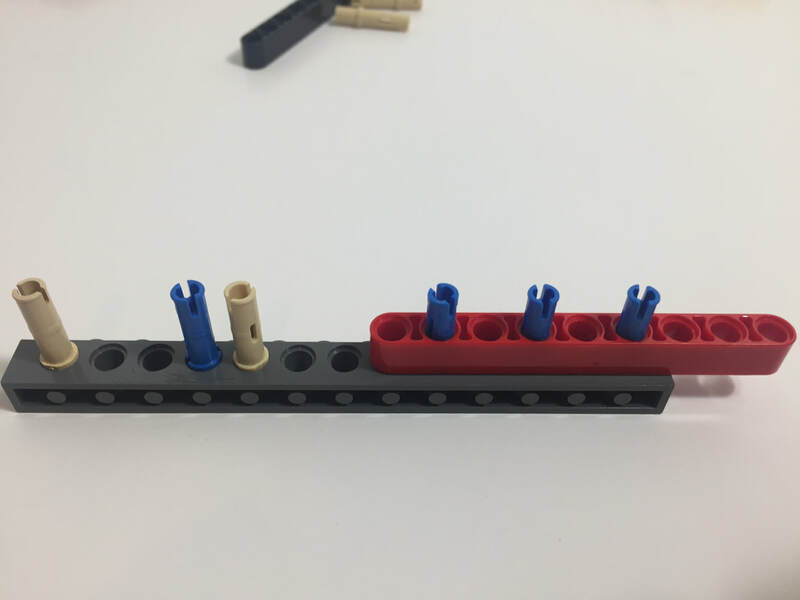 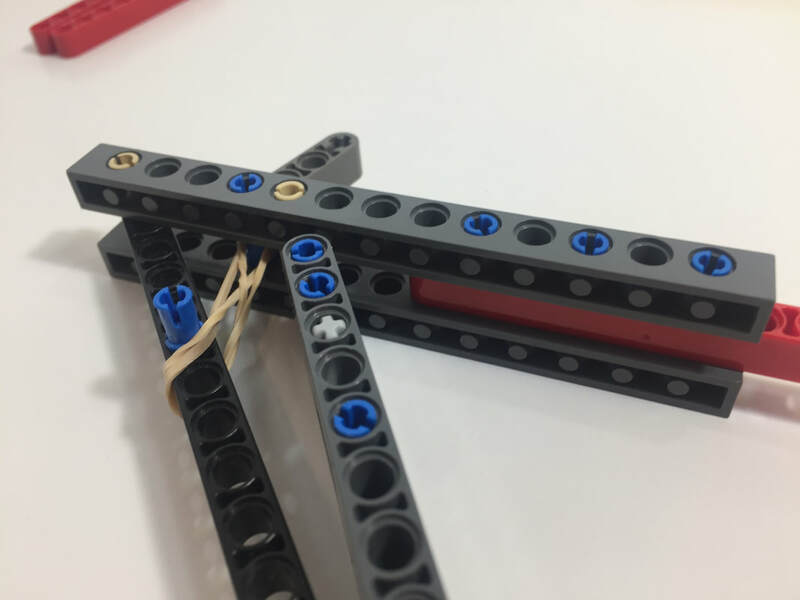 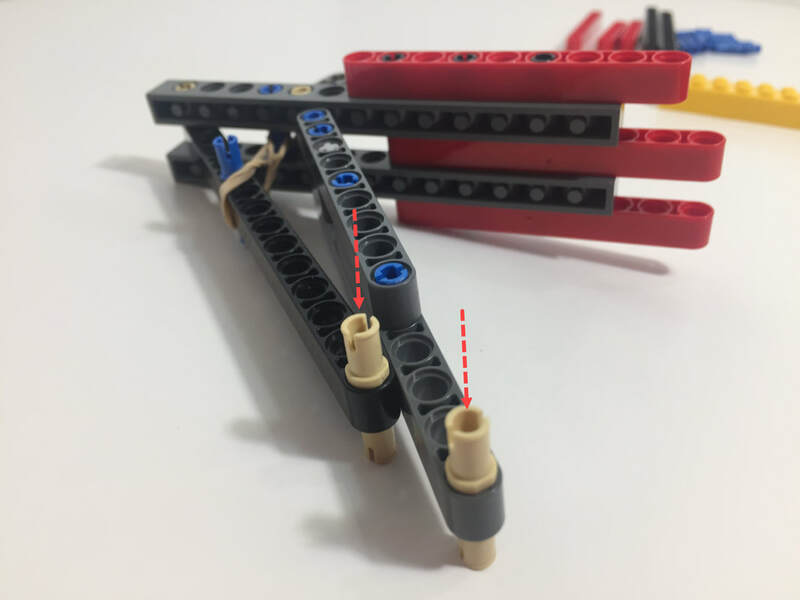 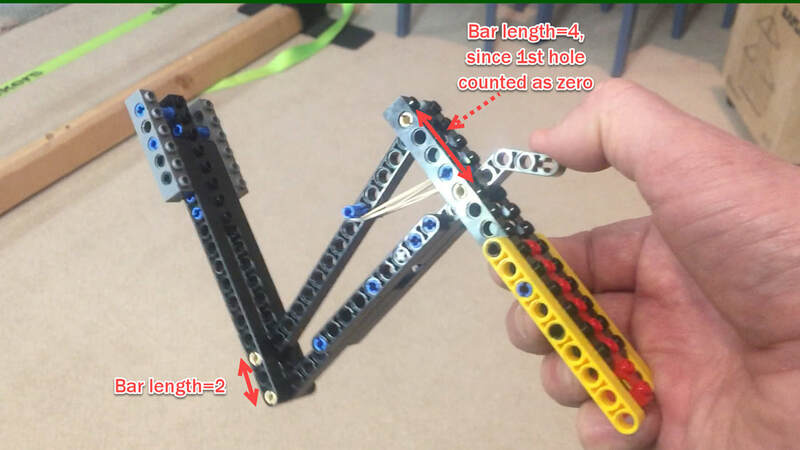 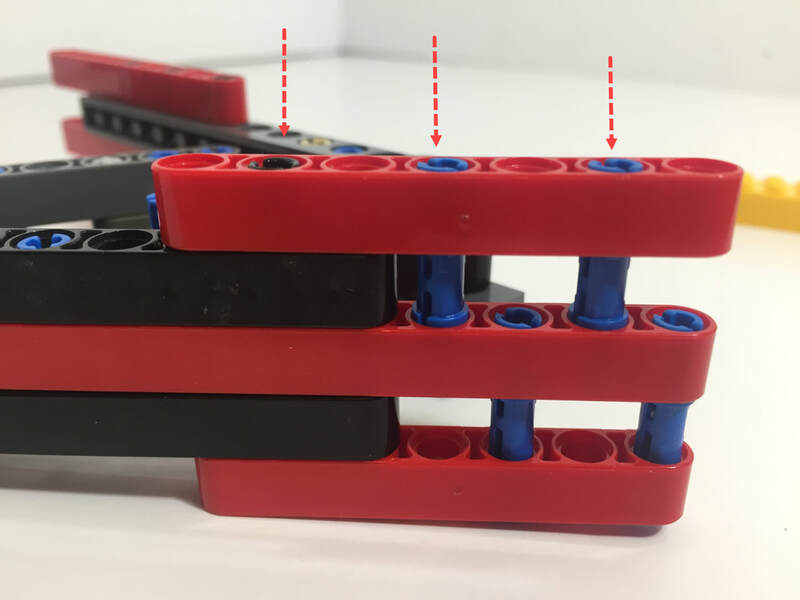 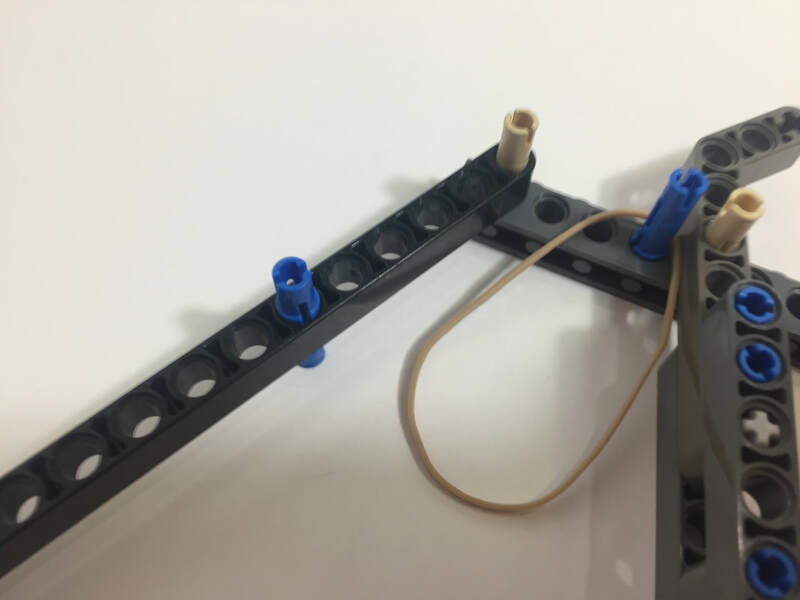 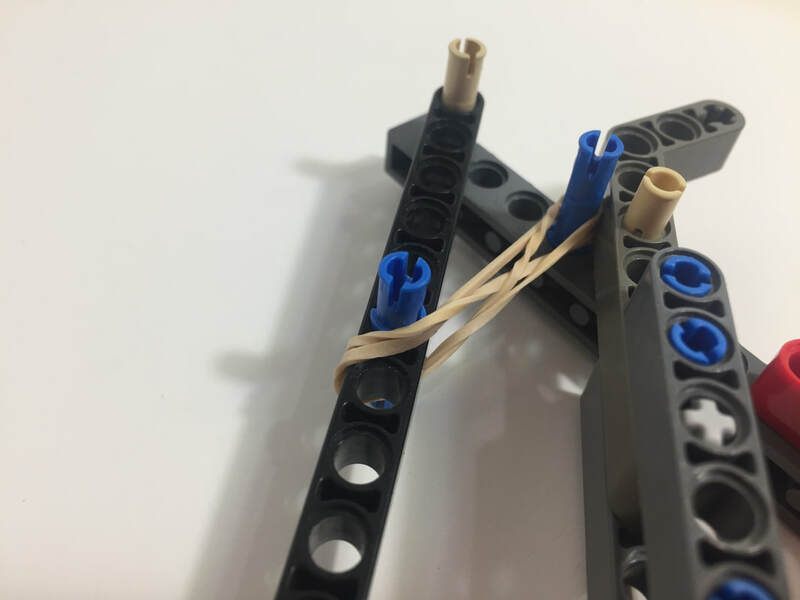 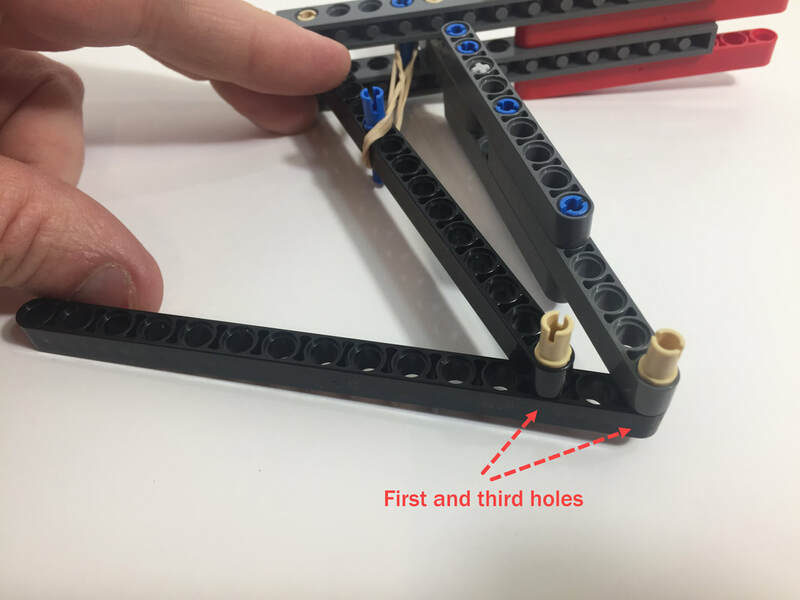 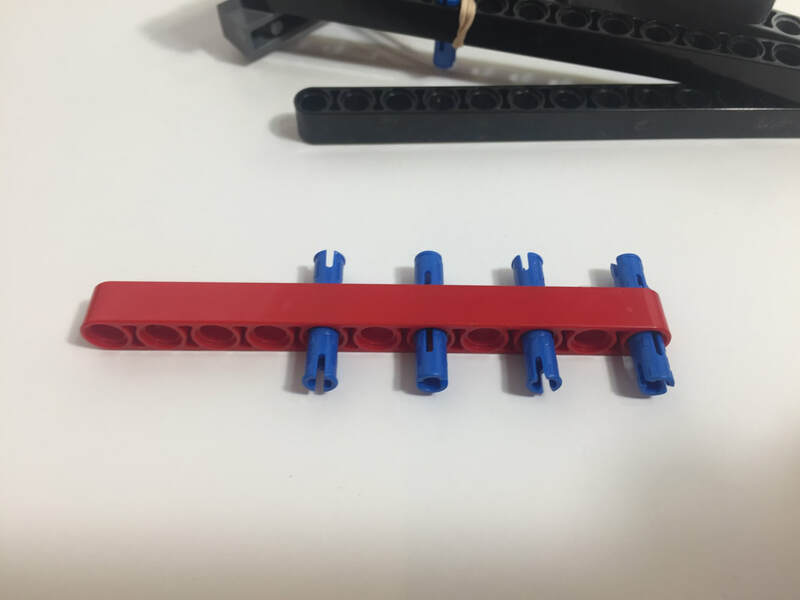 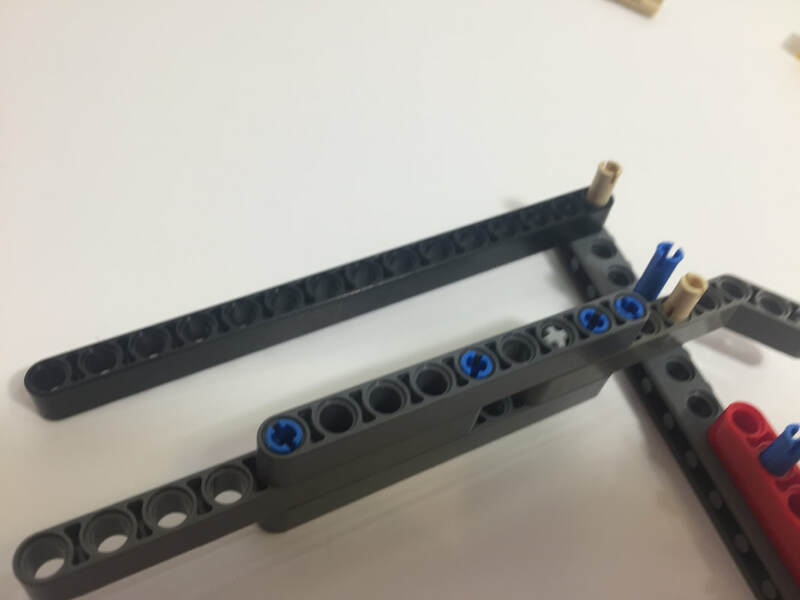 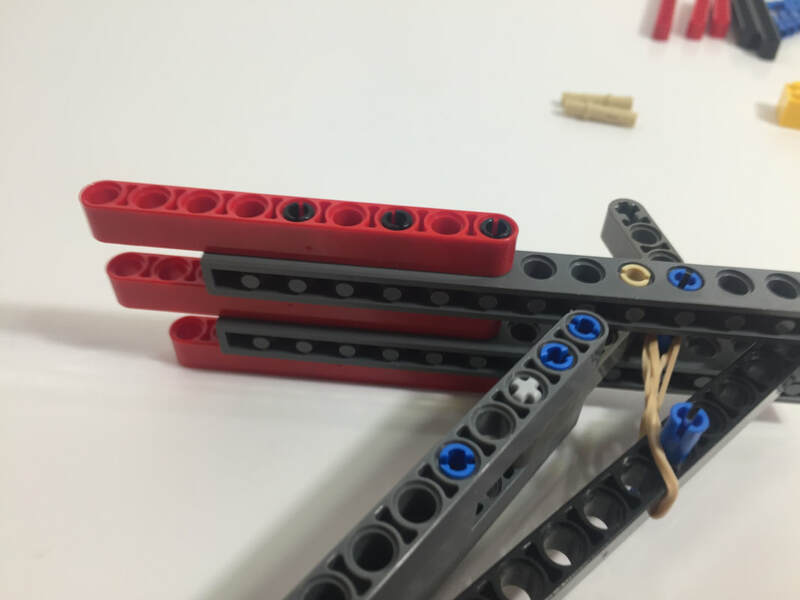 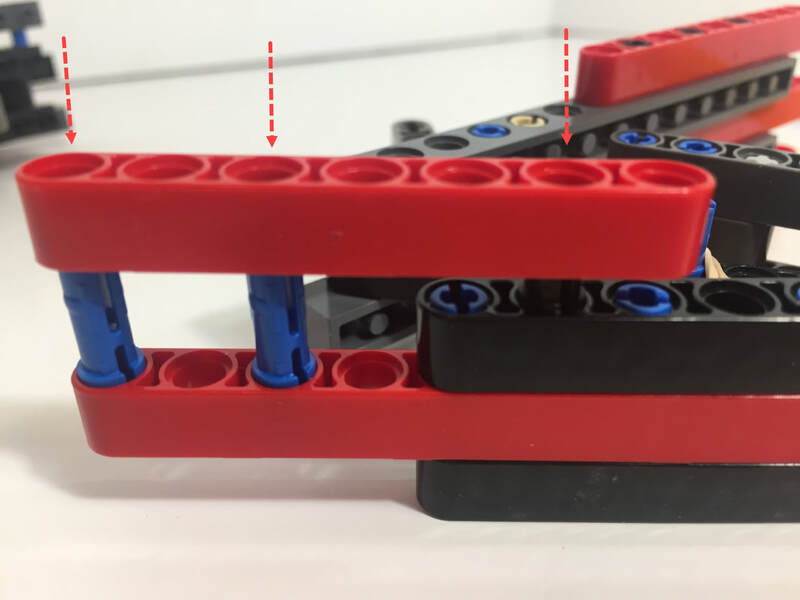 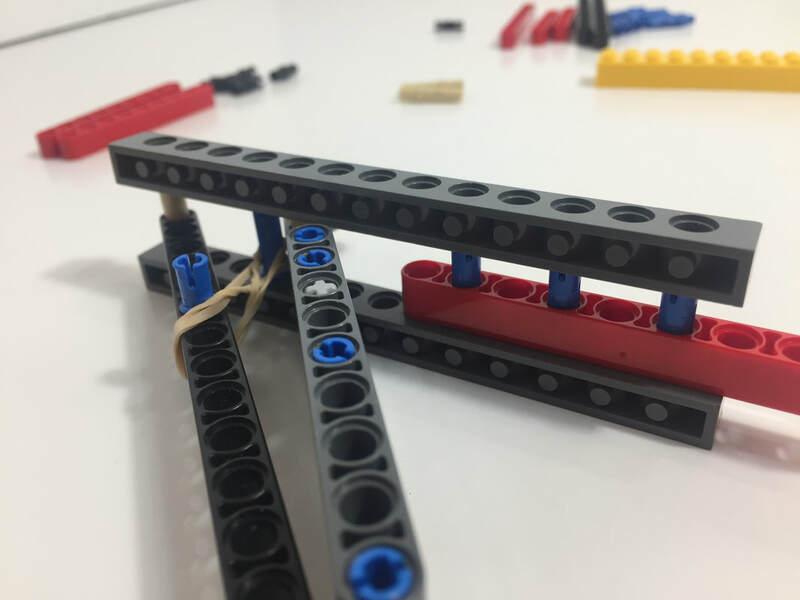 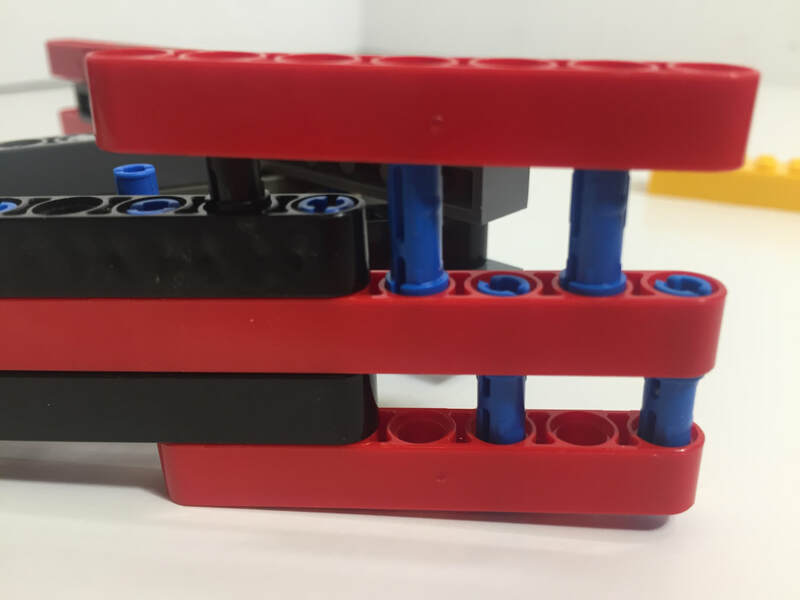 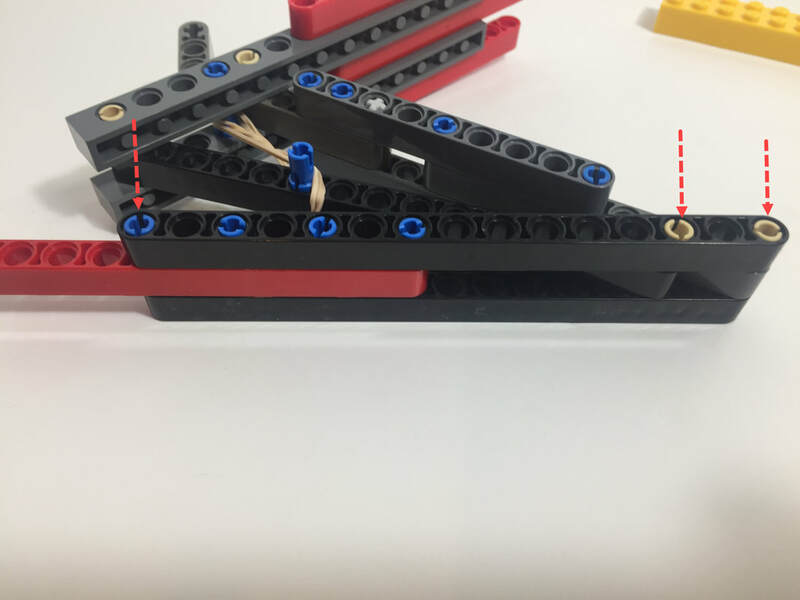 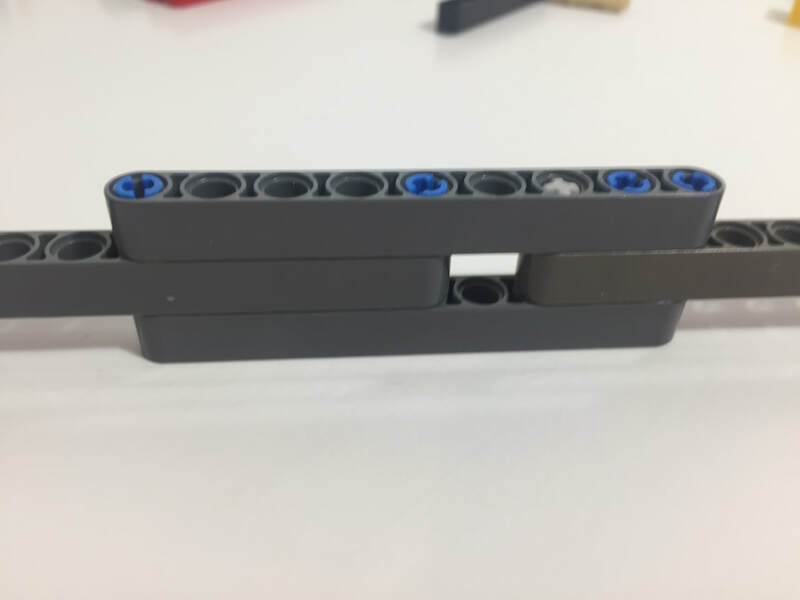 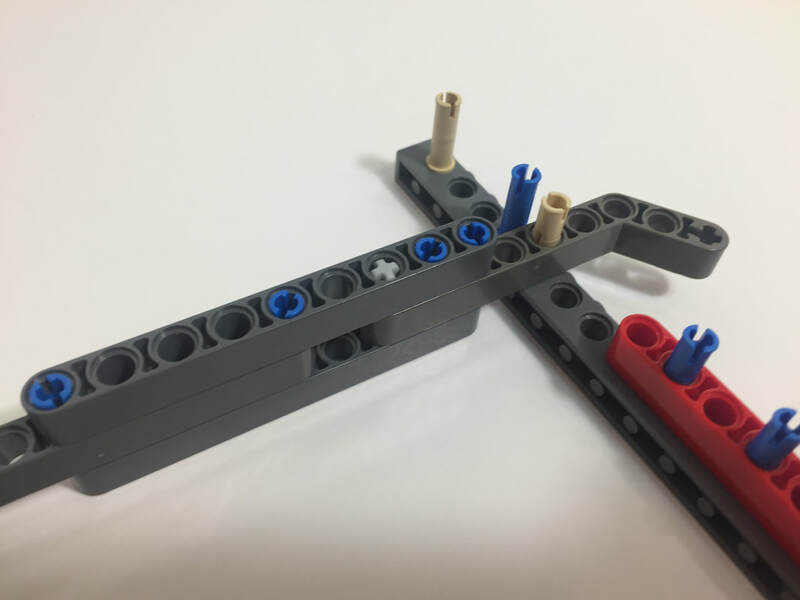 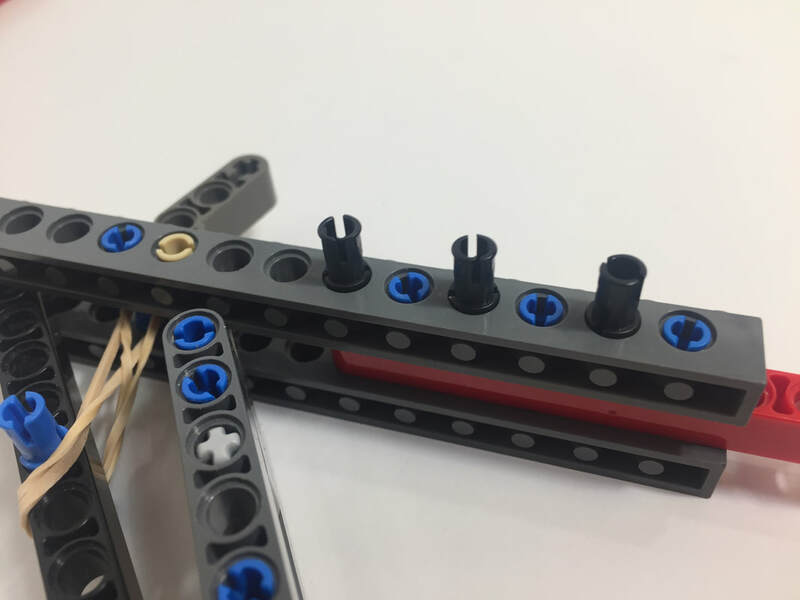 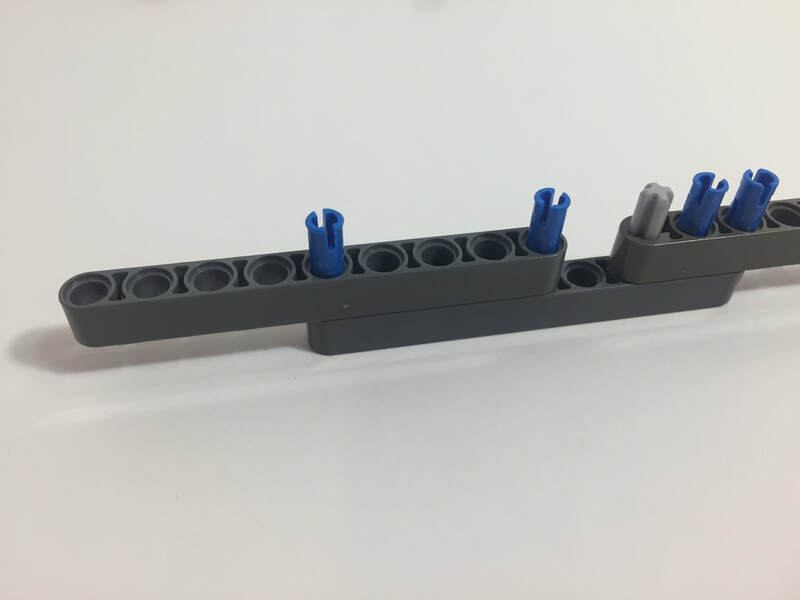 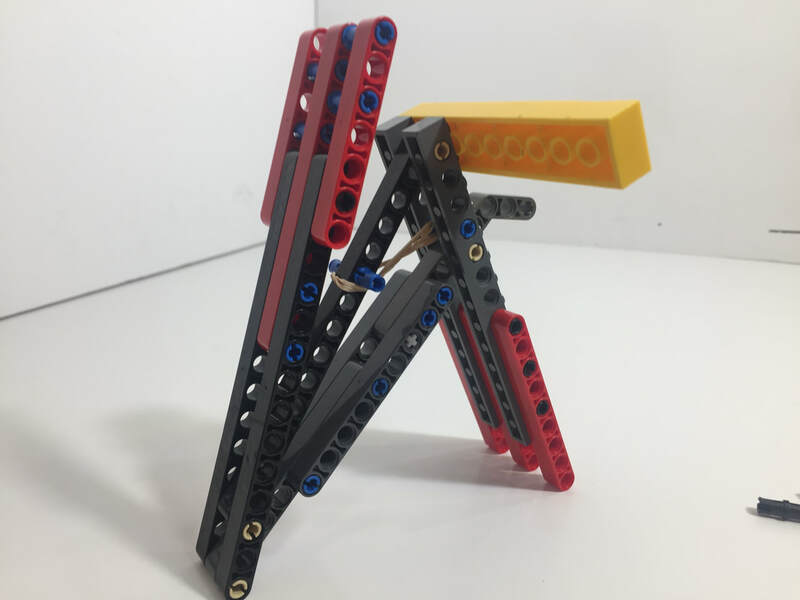 Alternatively, you can test changes with the simulator below - but remember that when determining the length of LEGO beams to enter into the simulator, the first hole is always counted as zero as shown in the image above. 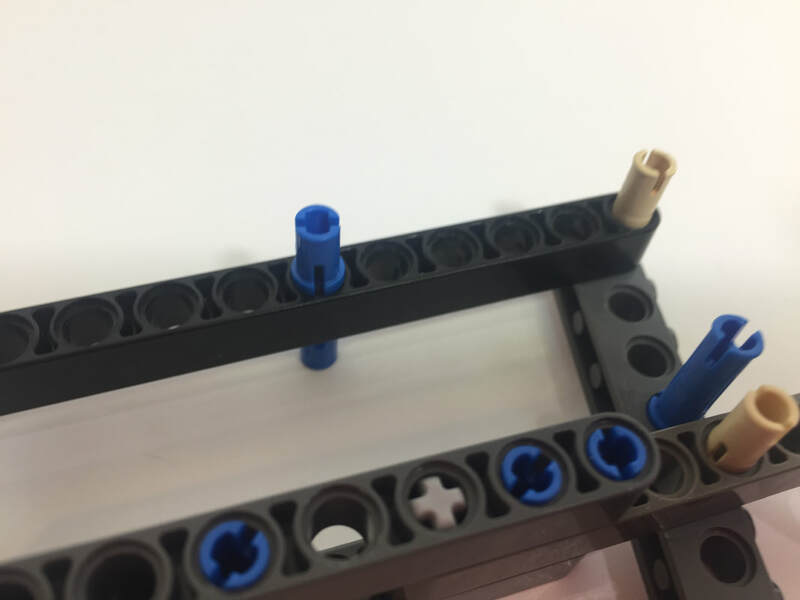 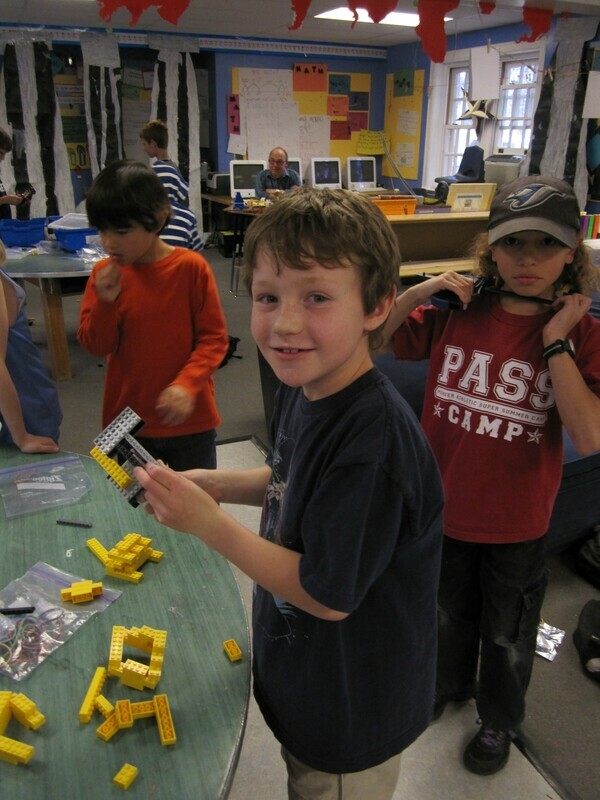 Below is the embedded simulator. 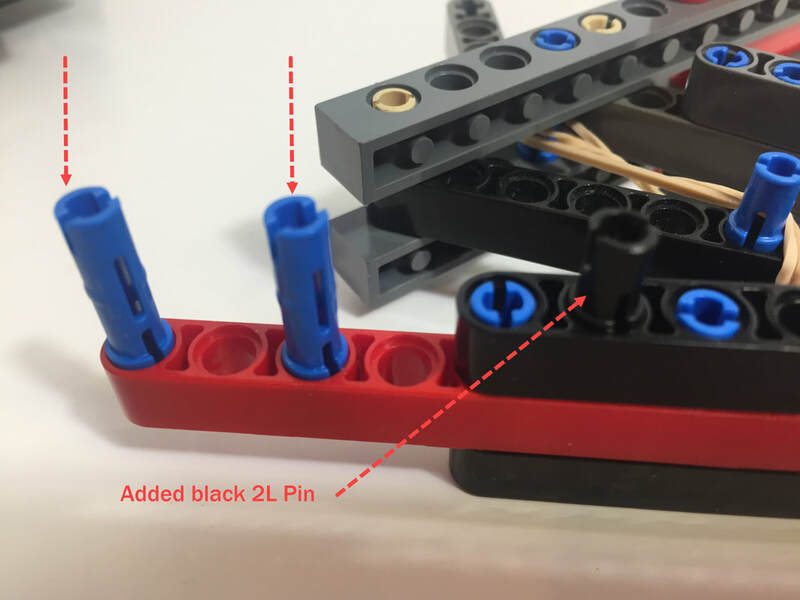 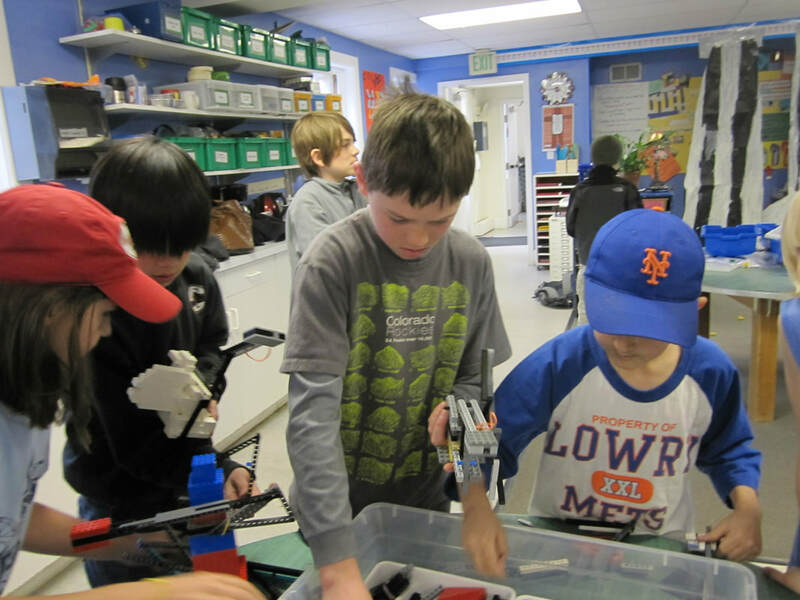 After changing a bar's length, click somewhere other than a slider bar and then press the space bar to see the new linkage, and use your keyboard's left/right arrows to rotate the crank.